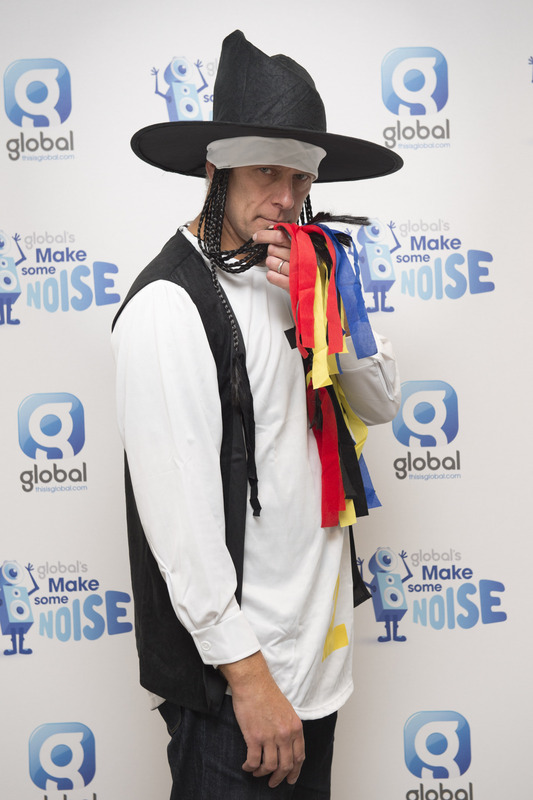 For Global’s Make Some Noise Day, we united our star line-up of presenters, friends from the music and entertainment world, and 23 million listeners to get involved and raise money for disadvantaged youngsters across the UK. 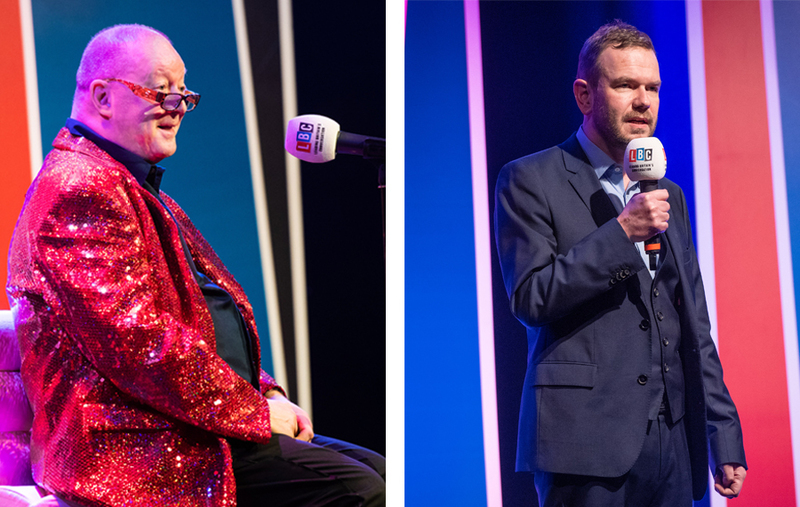 Here’s just some of the action from Global HQ – including who popped in to visit and which presenters dressed the loudest! 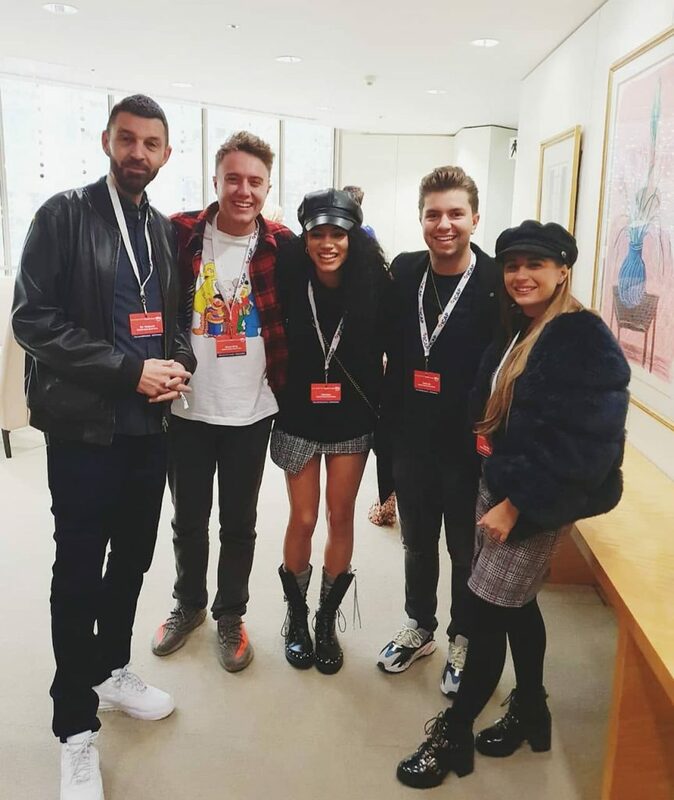 Capital’s Marvin showed his support, along with his wife Rochelle Humes. 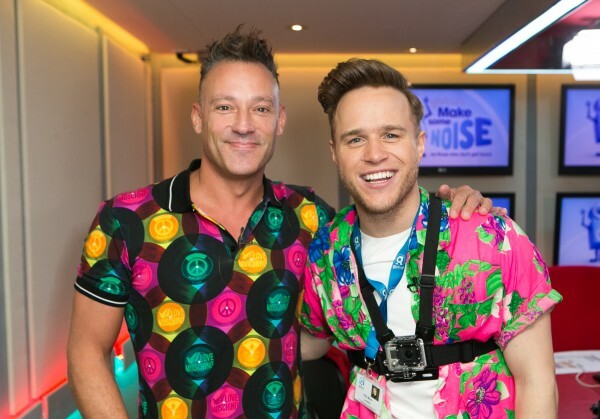 Heart presenter Mark Wright sang karaoke with the Rock Choir… and look who’s photo bombing! 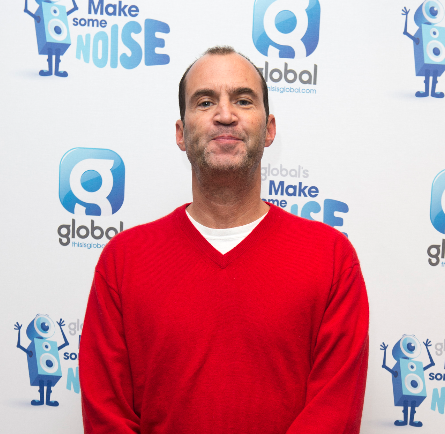 We caught up with Jonny Vaughan on the way to his drive time show on Radio X. 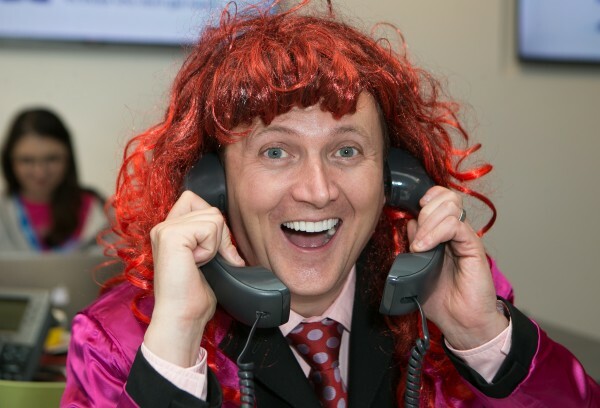 The phones were going crazy all day, so Capital’s Greg Burns jumped on the phone to help take your calls. After meeting brave Leanne from Teens Unite, Ed Sheeran stopped by to lend a hand in our call centre. 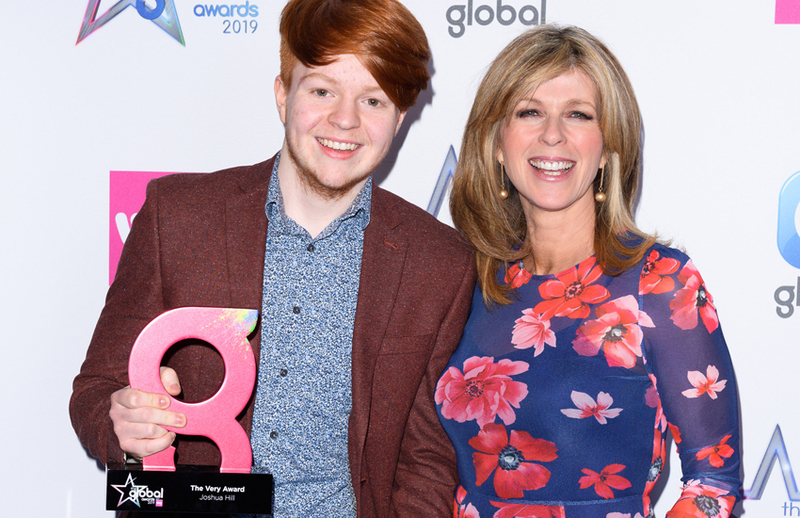 Kate Garraway and Richard Arnold struck poses in the Smooth studio. 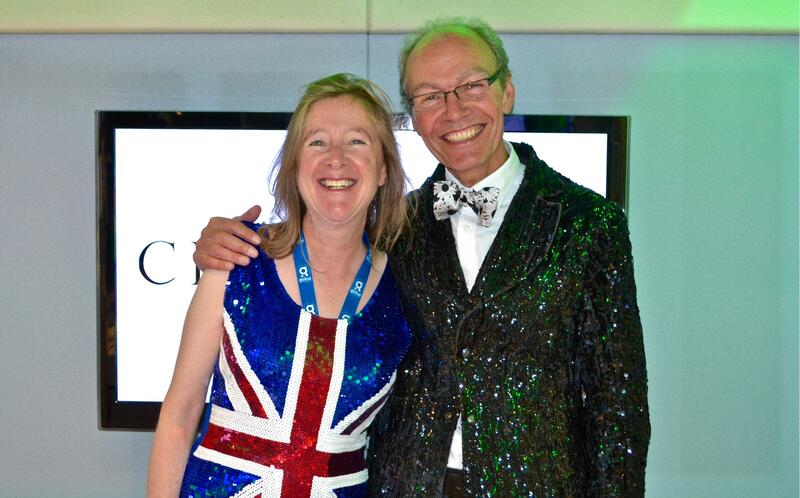 A huge thanks to Classic FM’s Anne-Marie Minhall and John Brunning for getting into the spirit of Make Some Noise in such a sparkly way – looking simply stunning in a glittering ensemble! 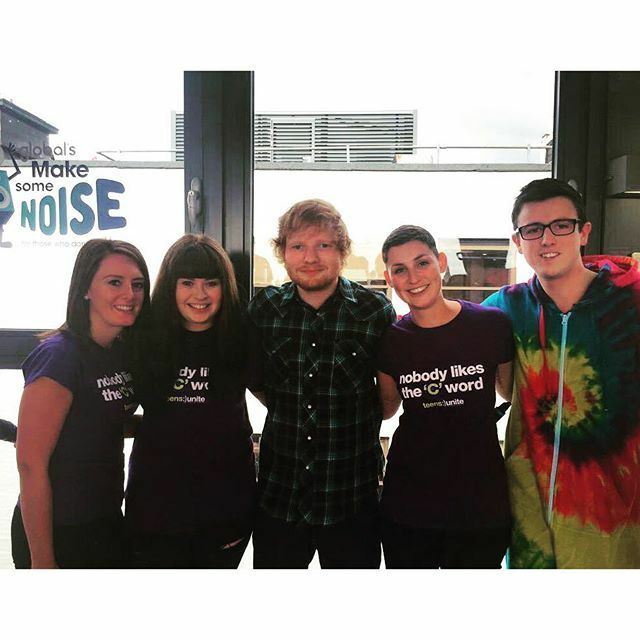 Foxes popped by to judge our Bake Some Noise cake contest at Global HQ. 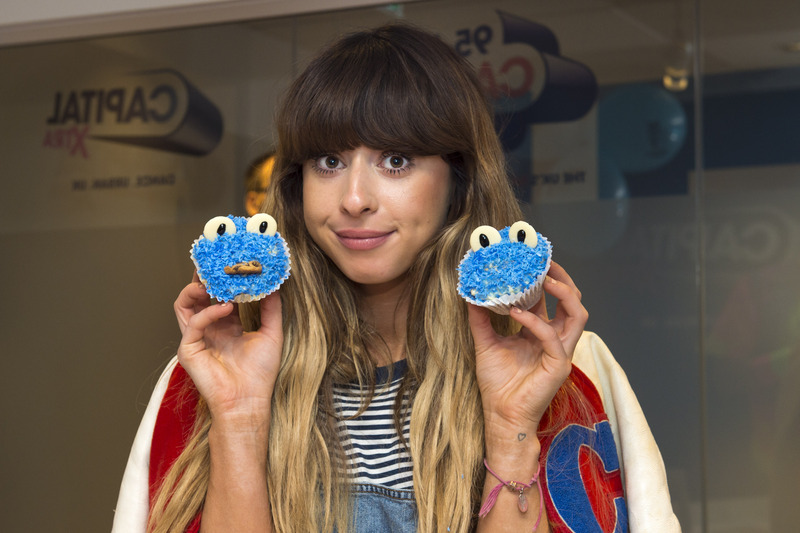 We love these cookie monster cupcakes! 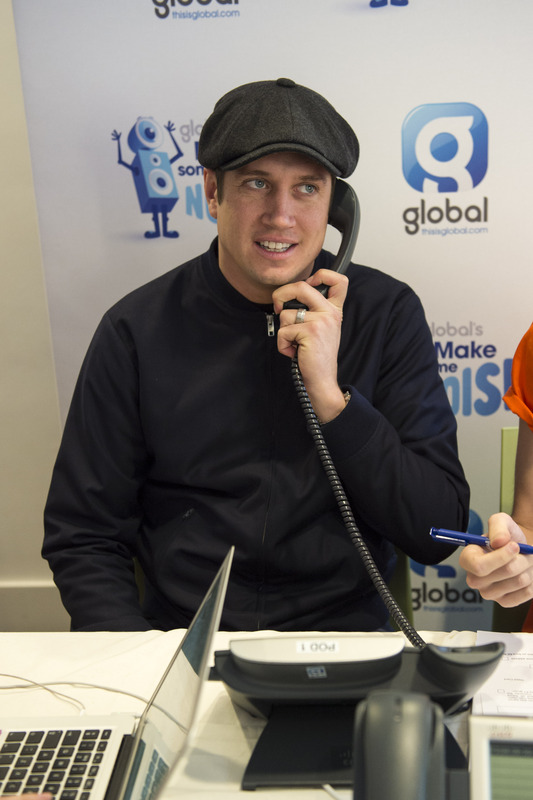 The gorgeous Delta Goodrem popped in to answer the phones in our call centre too. 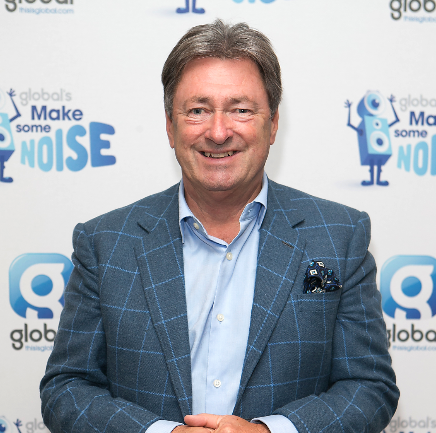 Classic FM’s renowned presenter Alan Titchmarsh swapped his garden spade for a telephone to support Global’s Make Some Noise! 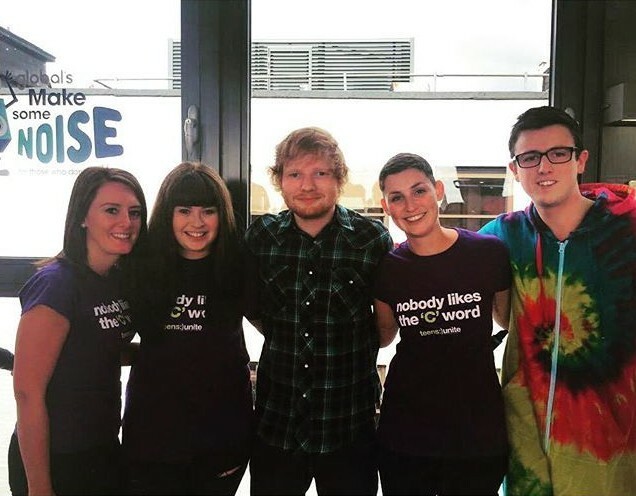 Brave Leanne from Teens Unite was interviewed live on Heart by Steven and Emma on the Global HQ roof terrace – but the last thing she expected was to meet Ed Sheeran half way through the interview! 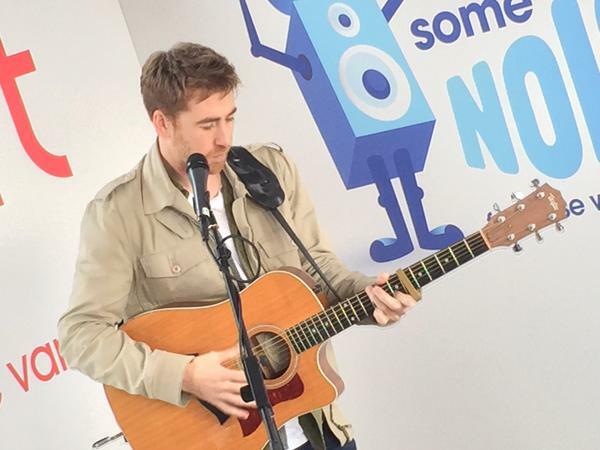 Heart listeners, along with teen cancer battler Leanne, were also treated to Jamie Lawson performing ‘Wasn’t Expecting That’. 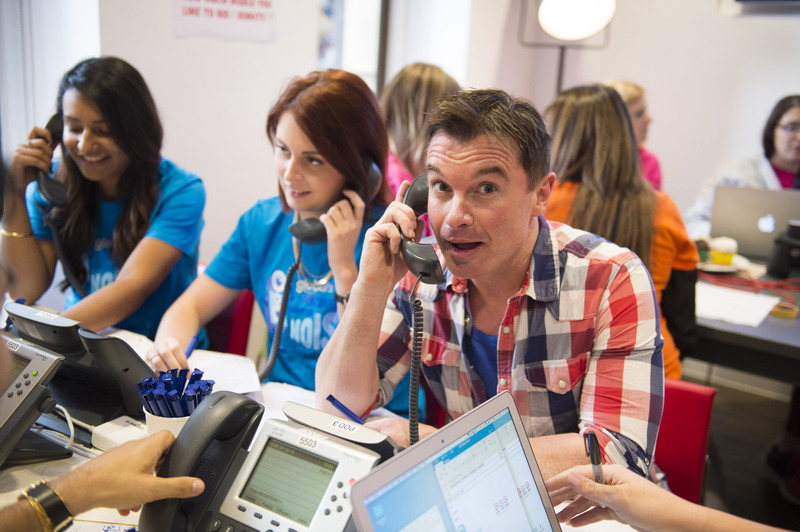 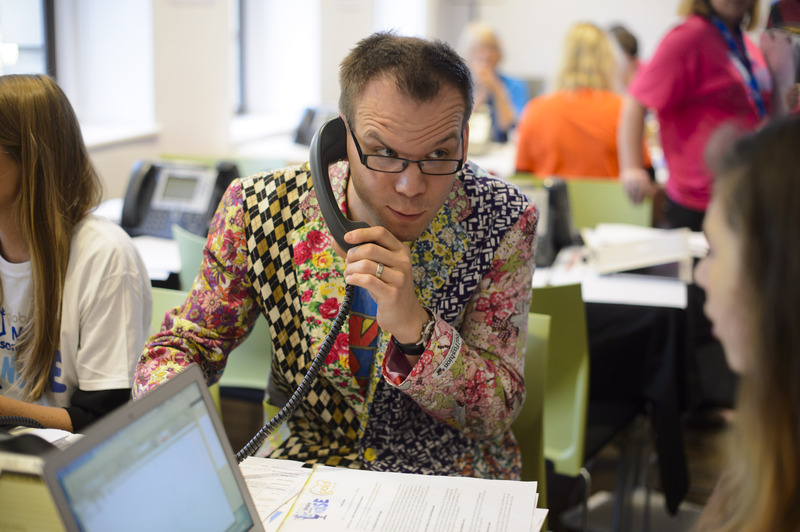 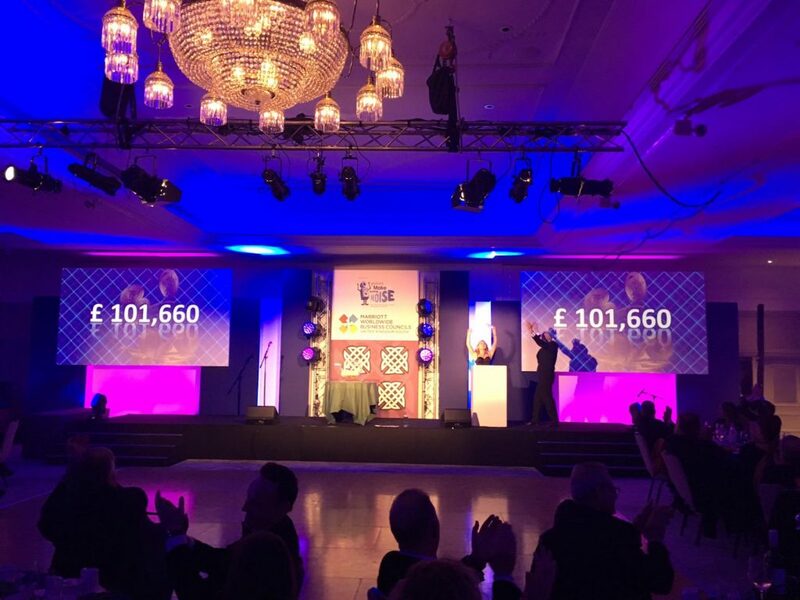 Heart’s Matt Wilkinson jumped on the phones to help take your bids in the prize auctions – that is one very loud jacket your have there Matt! 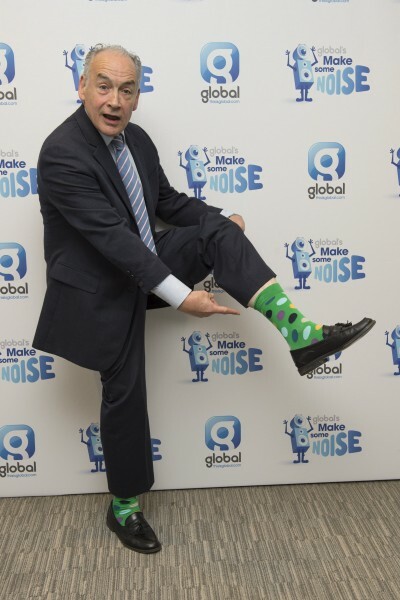 Alastair Stewart read the news this morning on all Global radio stations – and we love his loud socks! 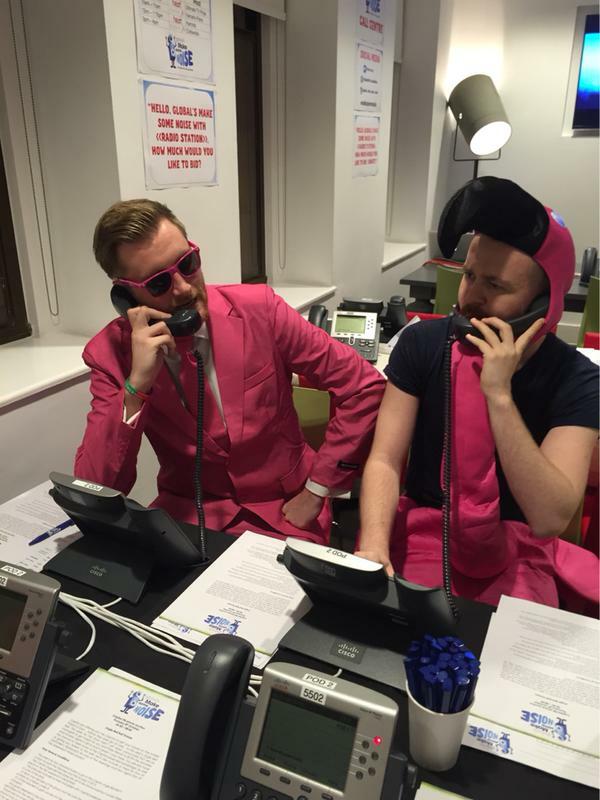 Wow – something crazy went down at Capital Xtra today! 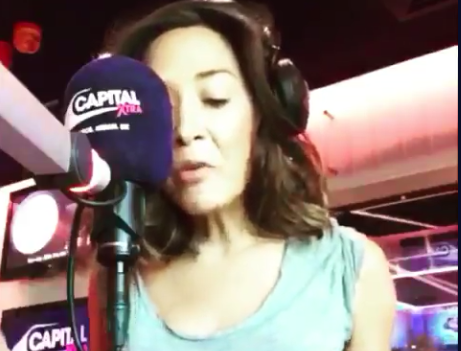 At ‘Grime Time’ there was no sign of Manny – but instead, the lovely Myleene Klass was behind the decks! 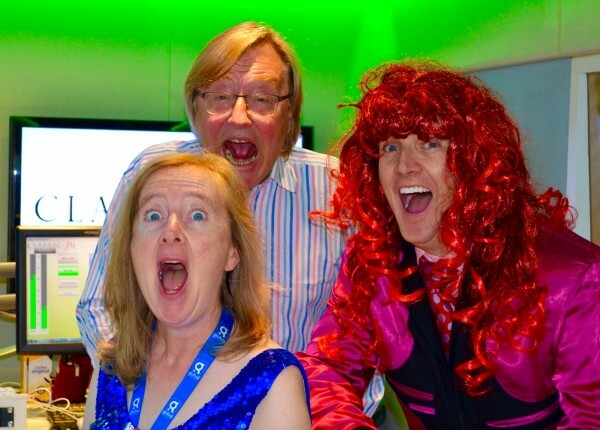 Meanwhile, in the Classic FM studio, we caught David Mellor, Anne-Marie Minhall and Aled Jones making lots of noise! 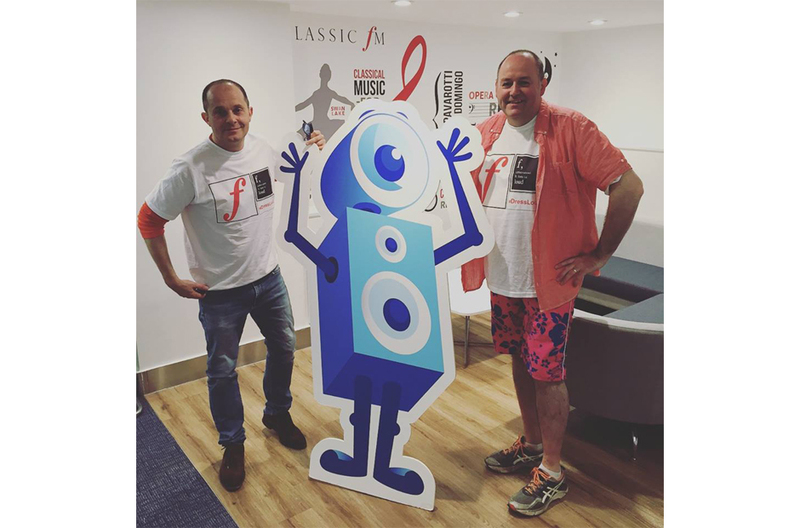 Tim Lihoreau and Bill Overton had a Make Some Noise dance with Noisy! 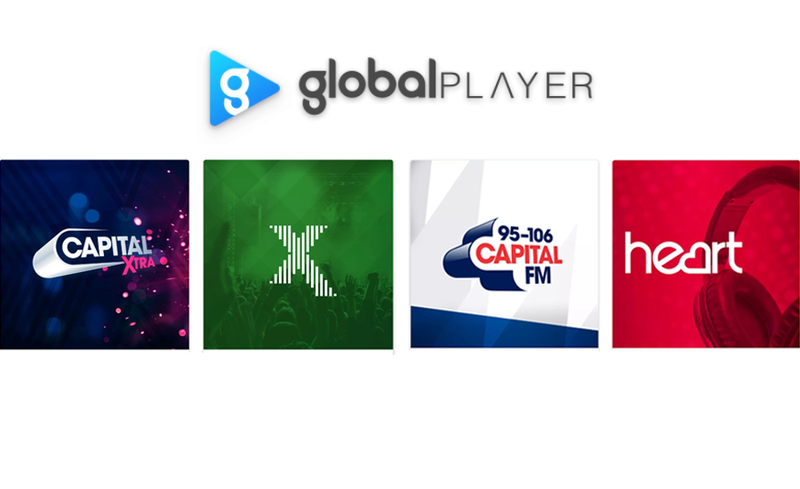 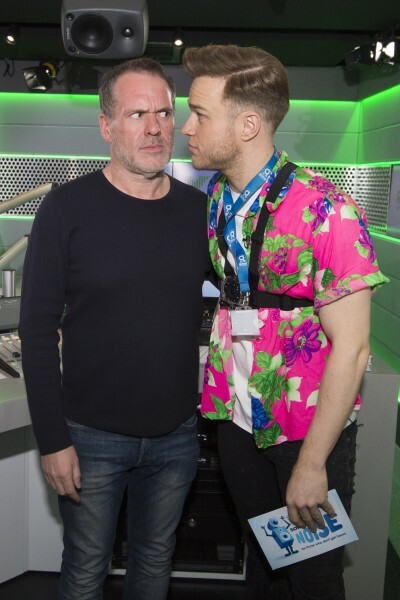 We set Olly Murs the challenge of visiting 8 of Global’s stations in just 1 hour – that’s Capital Xtra, Radio X, Classic FM, LBC, Heart, Gold, Smooth and Capital. 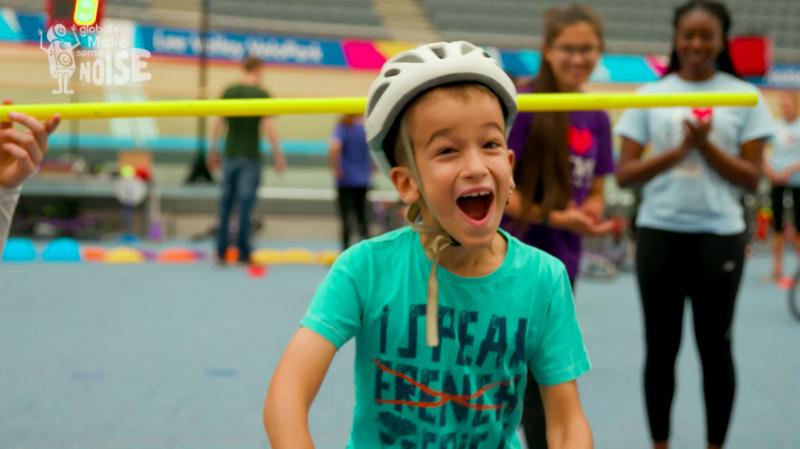 Find out if he made it! 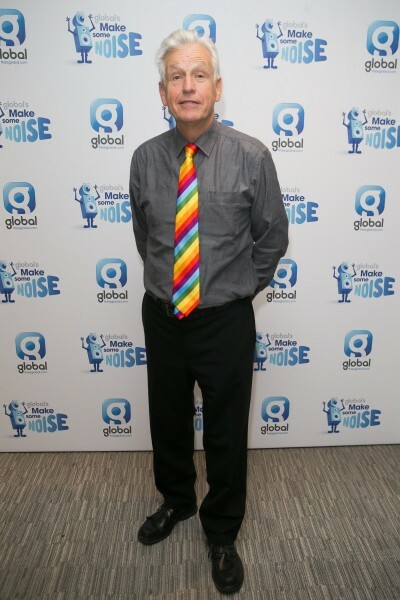 Classic FM’s Nick Owen stayed classy as he embraced the Dress Loud theme in support of changing young lives through Global’s Make Some Noise! Interesting… Andrew Castle impersonated Boy George for Make Some Noise! Mid-way through his 8 Station Challenge – Olly Murs stopped to pose for a picture with radio legend Chris Moyles. 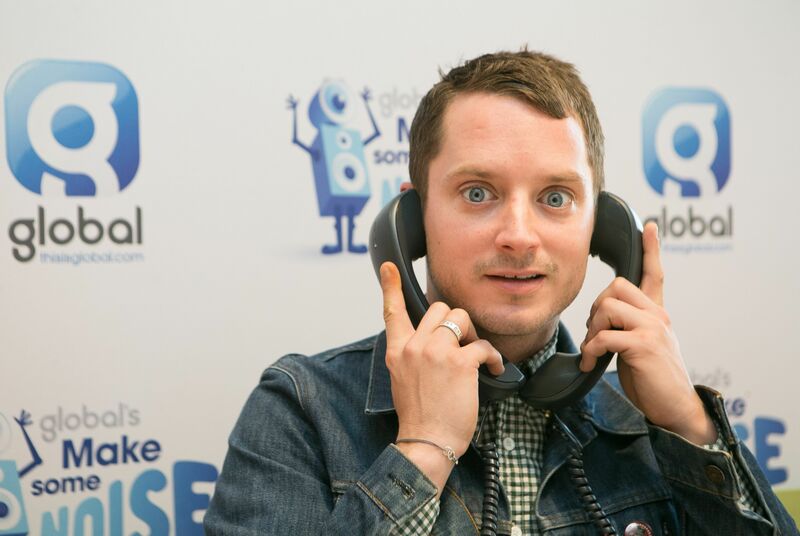 Elijah Wood had a go answering calls too! 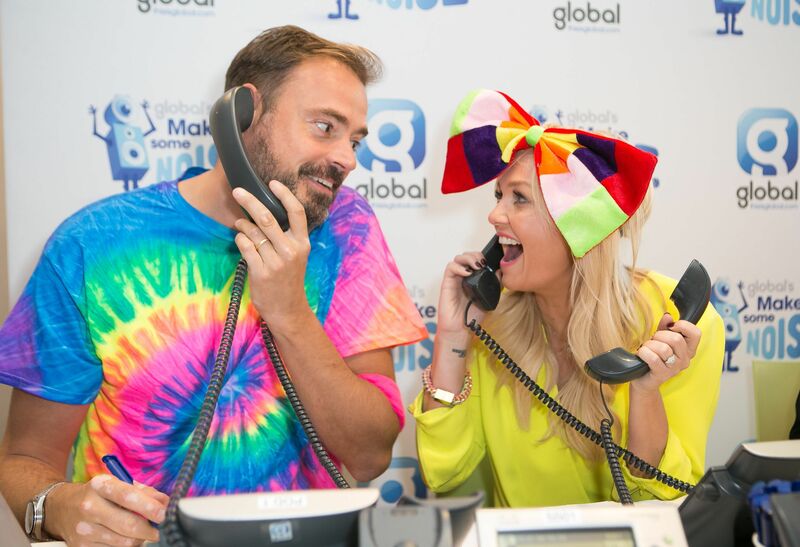 Heart’s Jamie Theakston & Emma Bunton wore some fabulously loud outfits for the day. 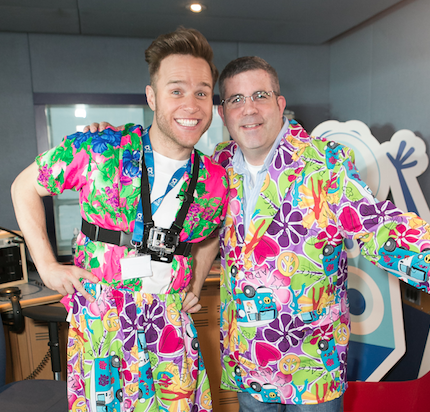 Jenni Falconer stopped by looking pretty in pink! 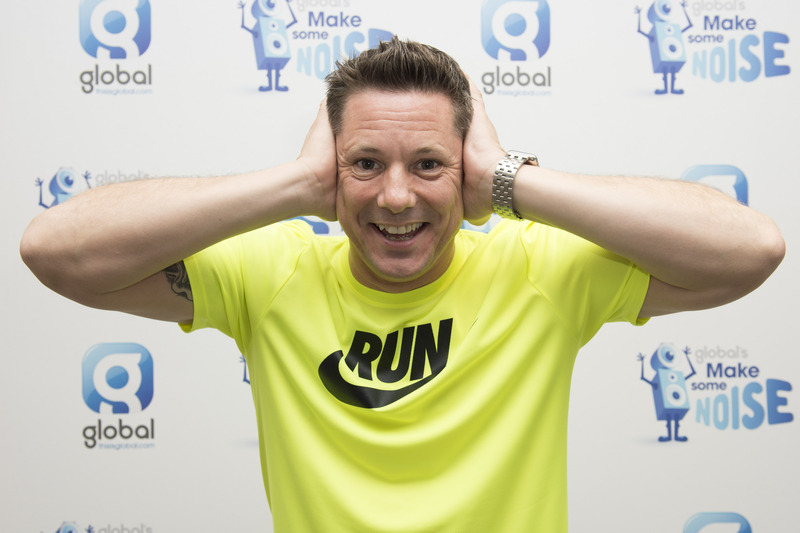 Tony Dibbins began his 24 hour marathon broadcast on Gold at 10am on Make Some Noise Day! 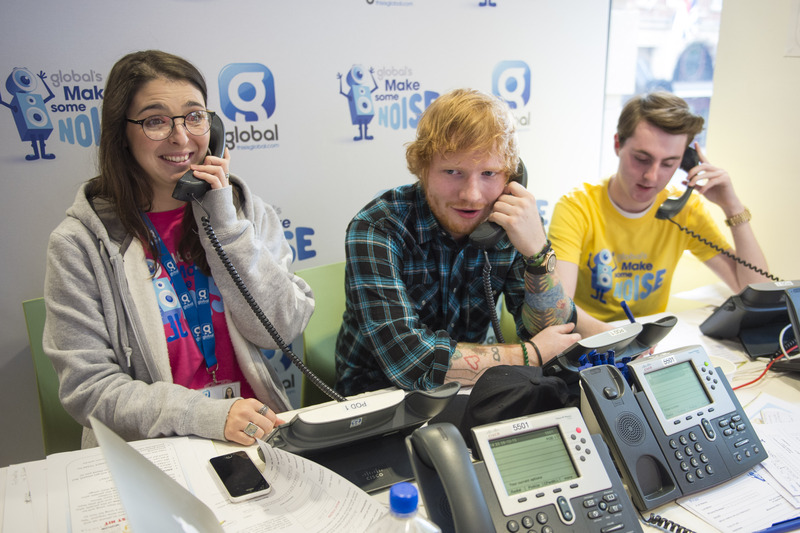 He took requests on air in return for a donation to Global’s Make Some Noise, to help improve the lives of disadvantaged children and young people in the UK. 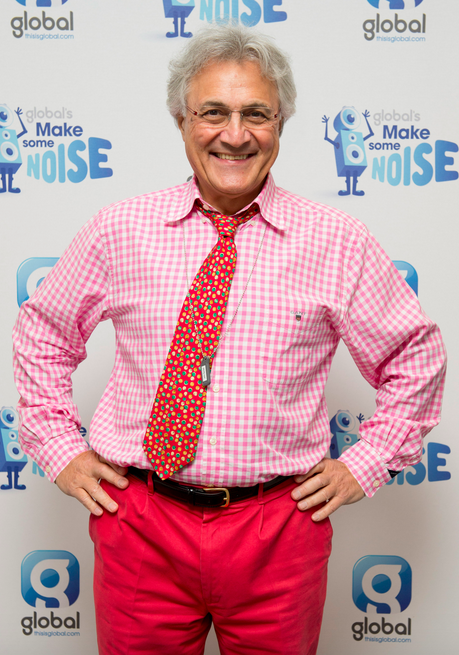 John Suchet posed in his best Dress Loud attire! Capital Xtra’s Jez in a very loud t-shirt! Capital’s Toby Tarrant took the early shift in the call centre this morning! (Accompanied by a flamingo of course).